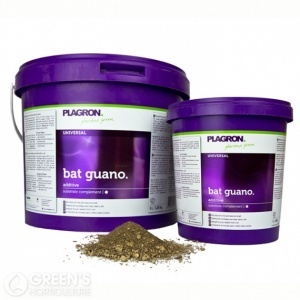 Bat Guano is an exceptionally nutritious and finely balanced fertilizer that promotes healthy growth and lends a sweeter taste & smell to your plants. Simply place on the top of the pot where the soil has been exhausted and then water as usual. Alternatively, and if you wish to use with a Hydroponic system, make a “tea” and then use the resulting brew in place of your regular nutrient.